It is nice to have a recipe that can be thrown together quickly on a busy day, and even better if it is healthy. 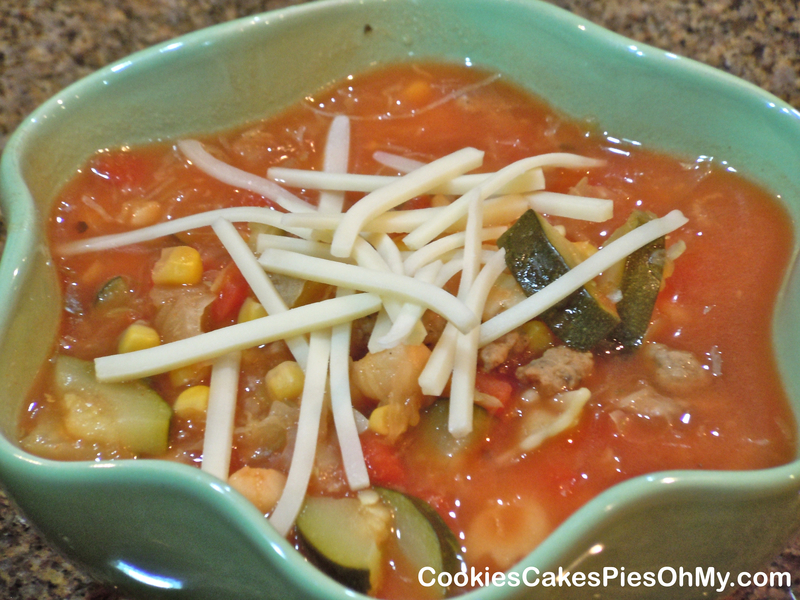 This minestrone soup fits this criteria as well as tasting great and having beautiful color. In large soup pot, cook and stir sausage, onion, celery, cabbage, and zucchini over medium high heat for approx. 10 minutes, until cabbage wilts down. Add remaining ingredients, bring to boil, then reduce to simmer and cook another 10 minutes. Serve with your favorite cheese.